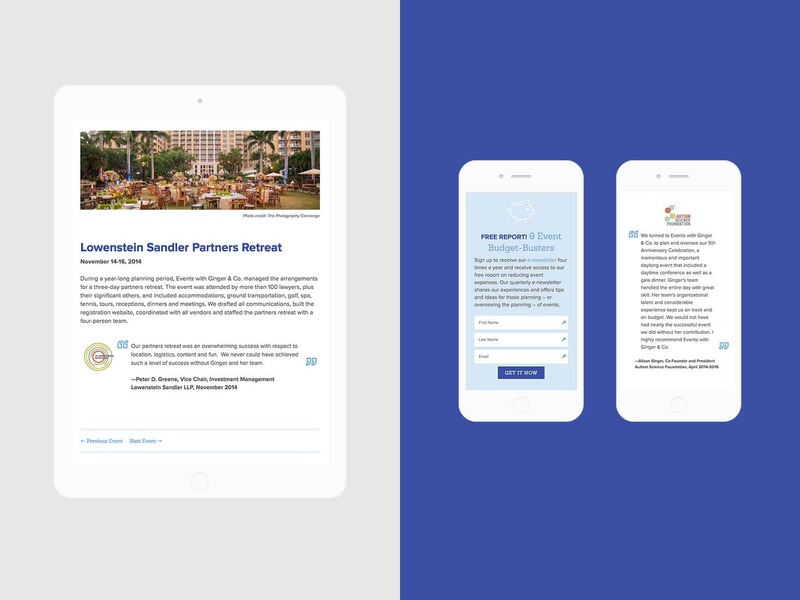 Events with Ginger works with nonprofits, corporations & law firms to plan and produce events nationwide. 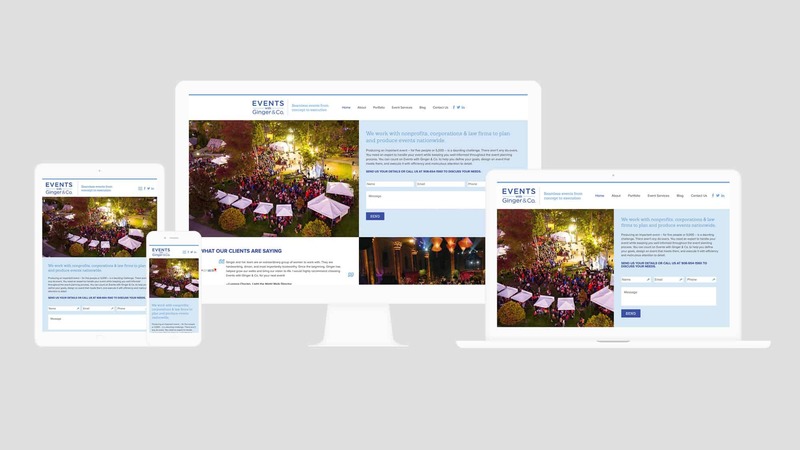 Events with Ginger came to me wanting to overhaul their existing WordPress website with a streamlined look that would work perfectly on mobile devices. 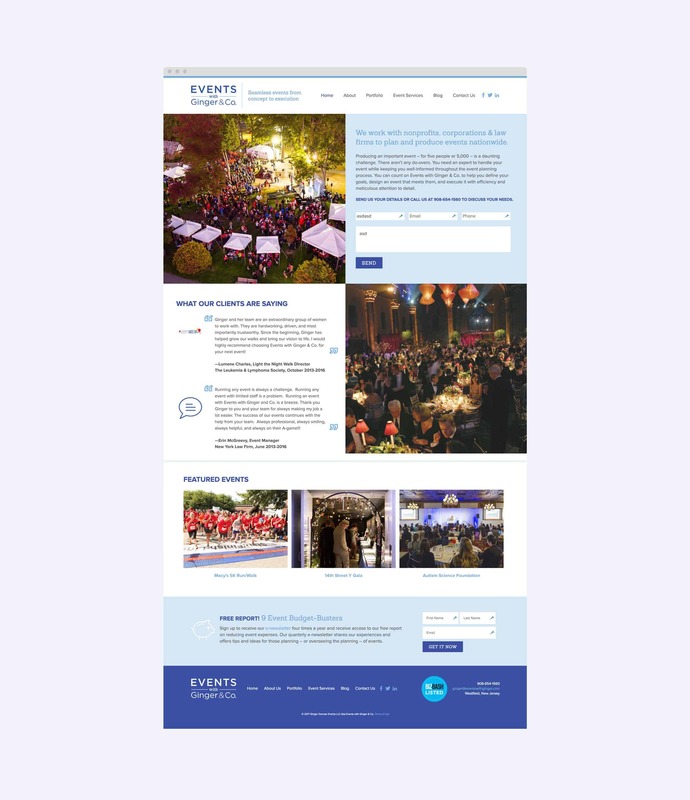 I created a new website design that incorporated their existing brand elements and places their events and services front and center with large imagery, iconography, and a clean layout. 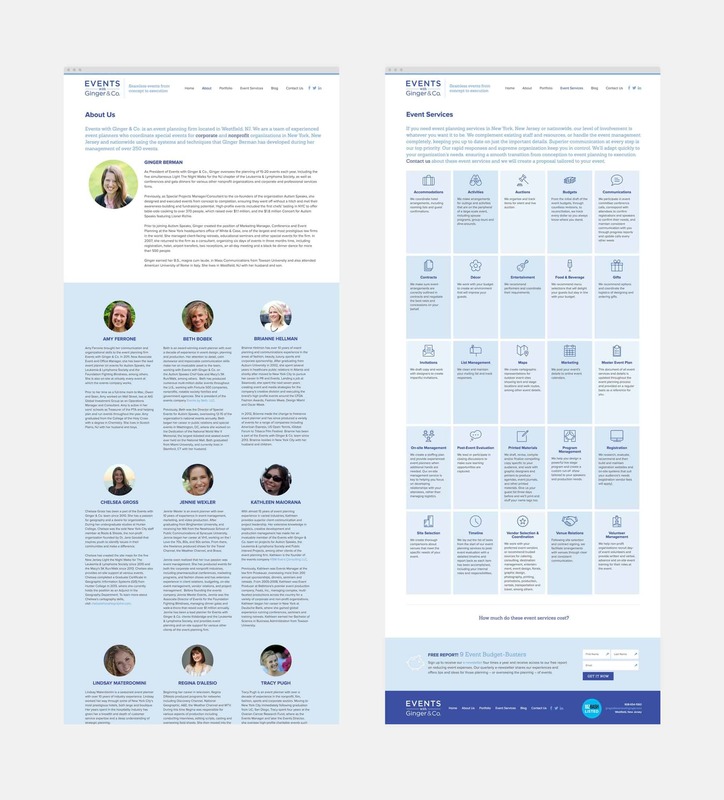 I built a custom WordPress site that allows them to easily add and categorize new events as well as update service offerings, team members, press listings, blog posts, and page content.